Within the interviews, lectures, essays and letters of this book Srila Prabhupada talks about practicing yoga in the modern age. Topics include karma and reincarnation, supreconsciousness, how to choose a guru, Krishna and Christ, and spiritual solutions to todays social and economic problems. "Who is Srila Prabhupada?" people often ask. At various times people have called him a scholar, a philosopher, a cultural ambassador, a prolific author, a religious leader, a spiritual teacher, a social critic, and a holy man. In truth, he was all these things and more. Certainly no one could ever have confused him with the modern entrepreneurial "gurus" who come to the West with slickly packaged, watered-down versions of Eastern spirituality. Srila Prabhupada was, rather, a true holy man of deep intellectual and spiritual sensitivity--he had deep concern and compassion for a society which, to such a large degree, lacks real spiritual dimension. In these pages Srila Prabhupada presents the same message that the great sage Vyasadeva recorded thousands of years ago, the message of ancient India's vedic literatures. He quotes freely and often from the Bhagavad-gita. Srila Prabhupada transmits in modern English the same timeless knowledge that great self-realized teachers have spoken for millennia--knowledge that opens up the secrets of the self within us, nature and the universe, and the Supreme Self within and without. Srila Prabhupada speaks with startling clarity and proves just how relevant the science of self-realization is to our modern world and our own lives. 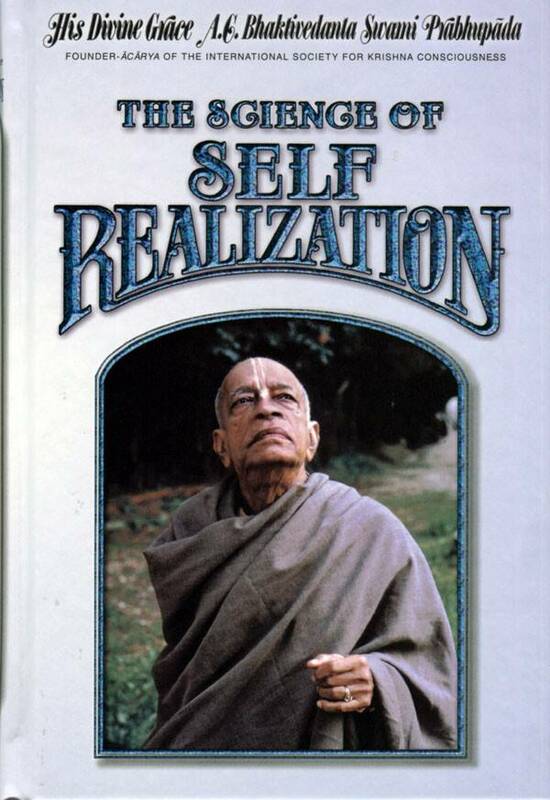 Among the thirty-six selections chosen for this special book, we hear Srila Prabhupada's moving poem upon his arrival in America, his exchange with a noted cardiologist on "soul research," his revelations to London Broadcasting Company on reincarnation, his telling remarks to the London Times on real and false gurus, his dialogue with a German Benedictine monk on Krsna and Christ, his insights on superconsciousness and the law of karma, his conversation with a leading Russian scholar on spiritual communism, and his intimate talk with his disciples on the sham of modern science.